Vada was originally a computer scientist in the space industry working on the Space Shuttle project. Upon her disability she took up beading and has been beading and assisting other's in learning how to bead for over 6 years. 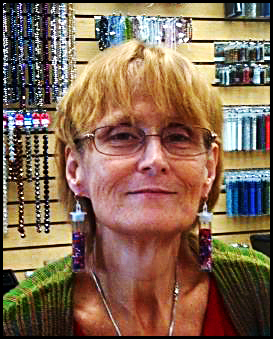 She is a member of the Central Florida Bead Society and is know for her unique designs and color selections.